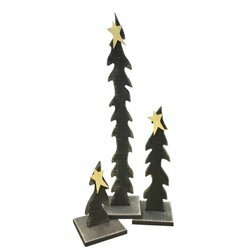 Add these 3 whimsical Winter trees to any holiday or winter themed setting! You get all three and they make a perfect addition to any outdoor or indoor space! Wrap them in lights to add another layer of beauty! Pair them with any of our Snowmen for a classic primitive look! 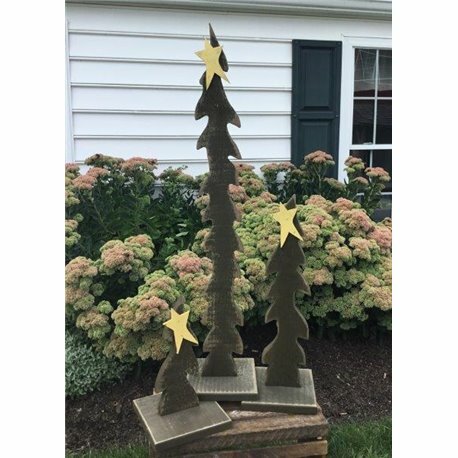 Add some rustic country charm to your home this holiday season with these beautiful handmade wooden, primitive Christmas tree decorations. This set of 3 charming trees will be a joyful addition to your Entry Way, Living Room, or Front Porch. 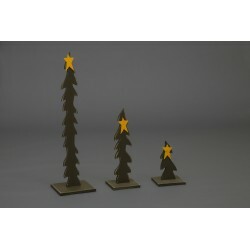 Wonderful set of 3 Christmas trees featuring star on top.